Way too often now I'm seeing posts on social media about dogs that are lost and found. It breaks my heart so I decided to put together a post with some tips to help prevent that nightmare from happening, or at least doing the best you can to stop it. When you answer the door make sure your dog is already on a leash so that there is no remote possibility of him slipping out when the door opens. If someone is watching your dog, make sure you tell them to do the same. When they take your dog outside they should always have him fully secured before they open the door. A fenced in yard can be fantastic however there’s always the remote possibility that your dog can crawl underneath to chase after something so make sure you either have an electric fence, or you get a tie down stake (or the type of leash that gets attached to two items and gives your dog a full yard’s length to run). If there are fireworks, make sure your dog is inside versus outside on a leash. When a dog starts to panic they can break free with their superhuman anxiety strength. If you are having a cook out or having guests over, make sure your dog is kept inside or even closed off in a crate or a room with the door shut so that he can’t slip out and wander off unnoticed. A Microchip is a great way to be quickly reunited with your dog if he ever gets lost and then found. 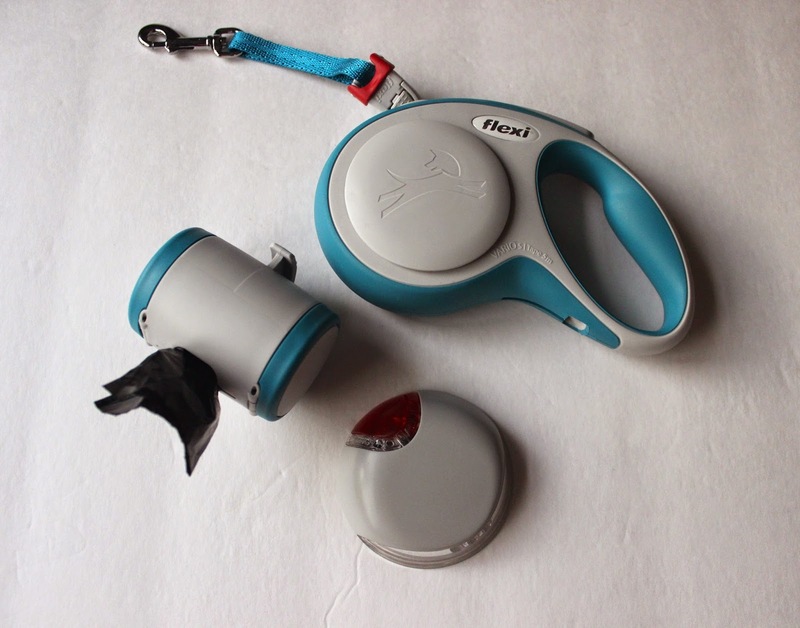 A vet, humane society, and other places can easily scan your dog and bring up the owner’s info. If you don’t have a microchip, make sure your dog ALWAYS wears a collar. Even if your dog stays in the yard most of the time, you should always have him on a leash so that he doesn’t get that little taste of freedom that may someday pop back in his head when he’s chasing a squirrel or another dog. If you are having something delivered or you are moving things out of your house and you have to leave the door open for an extended period of time (even just a few minutes!) make you’re your dog is secured in a crate or in a room with the door closed. There are apps and products out there that actually have GPS tracking so if your dog ever gets loose you can use a cell phone app to track his movements. If you have a dog that tends to escape a lot, this may be a worthy investment. It’s super important to spay or neuter your dog so that temptation doesn’t get the best of them when they want to escape and find a boyfriend/girlfriend. 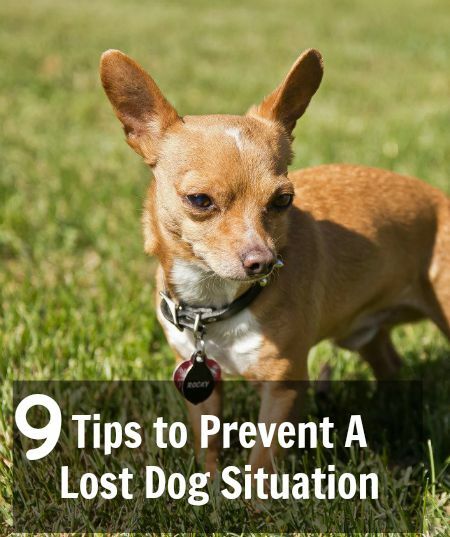 If the worst case scenario does happen and your dog runs away, immediately contact police, the humane society, social media, local veterinary offices, etc. Start spreading the word. The sooner the better! Have you ever lost a pet? What steps did you take to get him or her back? I have never lost a pet and hope that I never go through that *knock on wood*. I've taken so many precautions. I have all of my dogs microchipped and they wear collars with tags that have their name, the words, "Please Call", my cell phone number, and the words, "I am microchipped!" Some people who find lost pets don't know about microchips, don't think to get the pet checked for one, or don't want to pay for a vet to check if there is one. By having those words on the dog tag, it informs anyone that picks up my dog(s) that they are in fact microchipped. 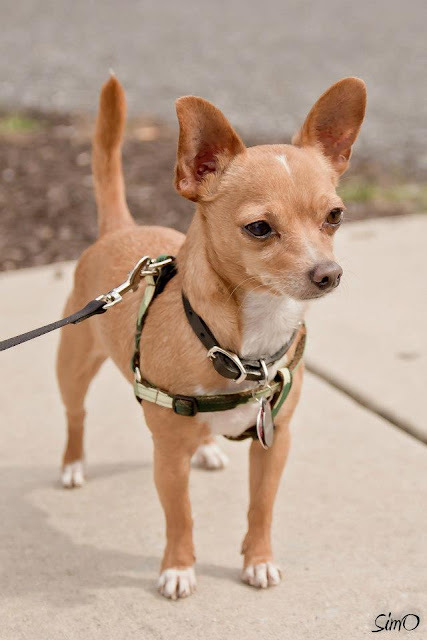 It is also important to keep your information up to date on their microchip and dog license. I had a 6' tall privacy fence installed in my back yard. Because my yard is not completely flat, in some areas there were open spots at the bottom of the fence. So in those areas I had wood nailed into the fence so that the open areas were completely covered. I also never leave my dogs unattended in the yard. If someone is coming through the door, I usually have the dogs crated but also keep an eye on the crates in case something happened and they were able to break out of their crates and if I am moving, I actually keep them in a separate room with that door shut as an extra safety precaution and usually tape a piece of paper on the door saying to not open the door, the dogs are inside. If I'm walking the dogs, I have their collars on, but I also have their harnesses on and have the leash clipped to their harness. Right now the two older dogs have handles on their harnesses and have leashes that have this special kind of extra strong lock on the clip that you have to twist. Maybe I'll do a little post on their leashes. You can never be too safe when it comes to your fur kids!